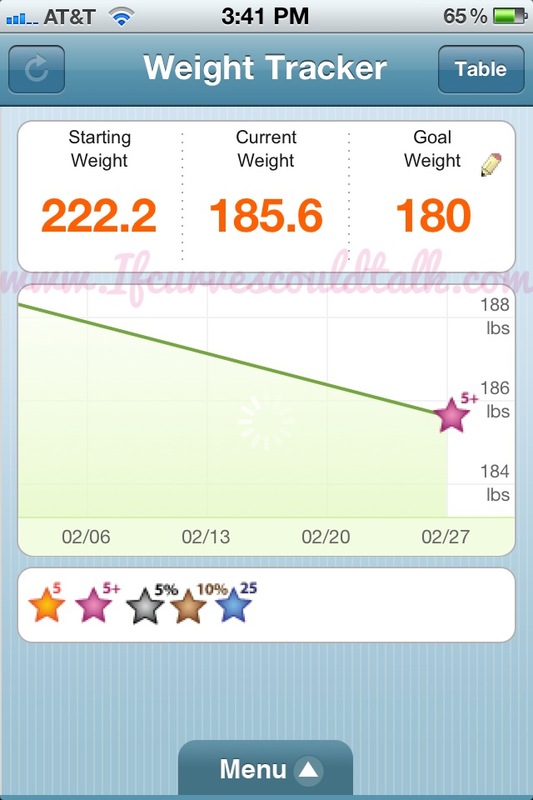 If Curves Could Talk: Weight Watcher's Weekly Weigh-In: 3 POUNDS LOST! 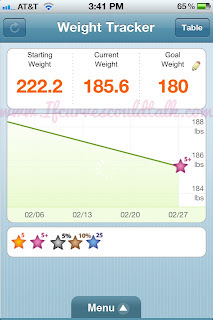 Weight Watcher's Weekly Weigh-In: 3 POUNDS LOST! You're probably wondering why I haven't posted my weigh-in tales for three weeks. Well, I haven't weighed in for three weeks and STILL managed to lose 3 pounds, which means, I lost a pound a week. As I got on the scale and heard I lost 3 pounds the receptionist said, "Something clicked even though you didn't weigh-in" and it's true. Even though I didn't weigh in. I still counted my points and still kept my way of life in my head. This also means I reached 185 and I set a new MINI-GOAL of 180. Baby steps people! Baby steps! I am proud of myself to. I even tried new foods like Pho Soup! Which is 8 points and I LOVE! I think part of weight-loss is opening up your taste buds too. I feel a new sense of happiness with myself. Losing weight is a GREAT feeling. Congrats Steff... not to sound condescending, but I really admire you and how far you have came since I first began to read your blog... you are someone that I think of when I need to 'toughen up' and get things going..! Omg that is a big loss and keep up the good work. Oh by the way I love Pho I have it about once every two weeeks or more I love it and its not bad for you either. Way to go! I am also on a weightloss journey it's crazy hard but once you get the hang of it it's almost mindless cause you get the hang of eating right and knowing when to control your portions. Best of luck hun! SO happy for you! I am so happy to see that you are doing nothing but the best! I wish you much happiness, more success and true love! I can't wait to have my first weigh in on saturday- you've inspired me so much! Congratulations doll and keep up the great job. Wow, congrats! You're doing good! woo hoo! good for u babe! also, love that red wine lip color in your previous post! yummy! Also, check out the ClucbCouture giveaway on my blog Miss Tangerine, maybe you'll be the lucky one!